Define and discuss the term “Jet Lag”. Explain the cause of Jet Lag. Identify the steps that can be taken to prevent or minimize the effects of Jet Lag. 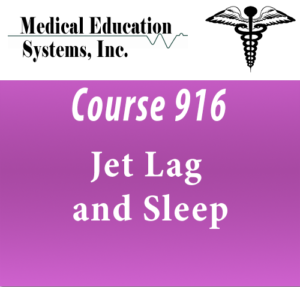 List and discuss the steps that can be taken to “treat” the symptoms and side effects of Jet Lag.